Remember Chevy Chase in that crazy family vacation movie? Well Rick did, and this stop was on his bucket list so I found a campground a hour away so we could check this box! 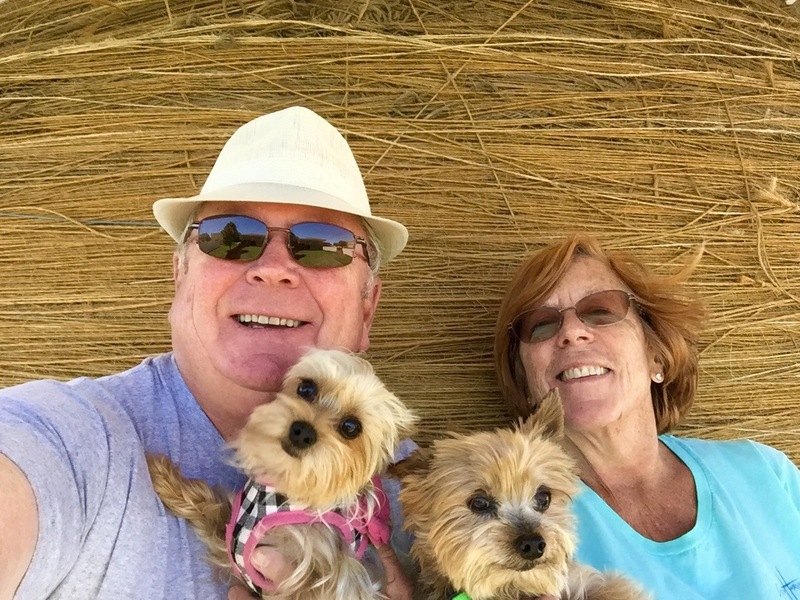 Lenny, Lola, Rick and I loved this quick stop – we could have added our own Twine to the balk but sadly did not bring any with us. There’s a tiny inn if you stay overnight but no place to eat in Cawker City. 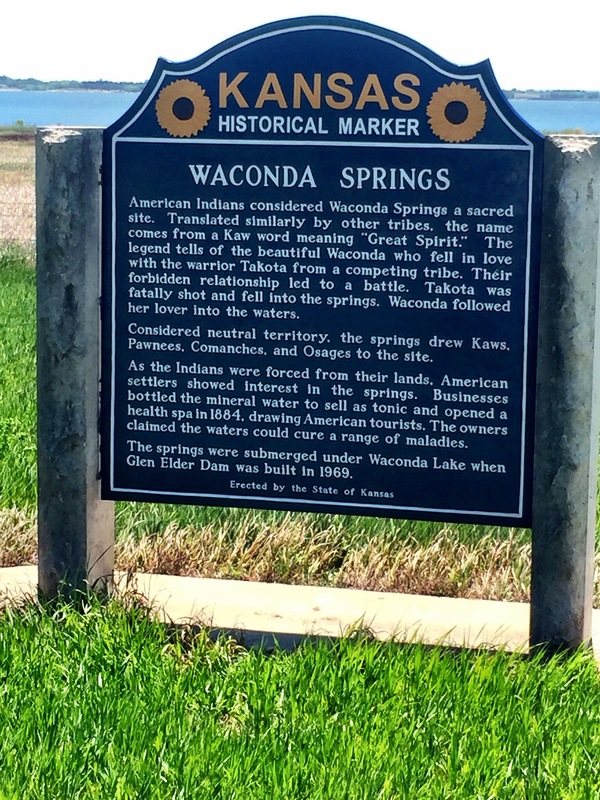 We came across this sign in Glen Elder and wanted to recognize this special area which is a beautiful state park today. 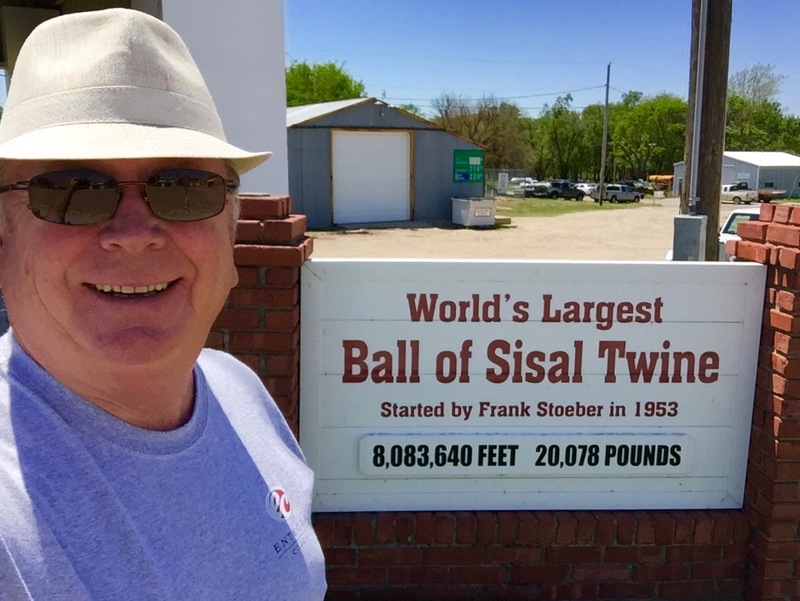 Kansas folks have a great sense of humor – you frequently see signs remarking on the Oz theme – one declared it was Home of college national basketball champs and Dorothy! 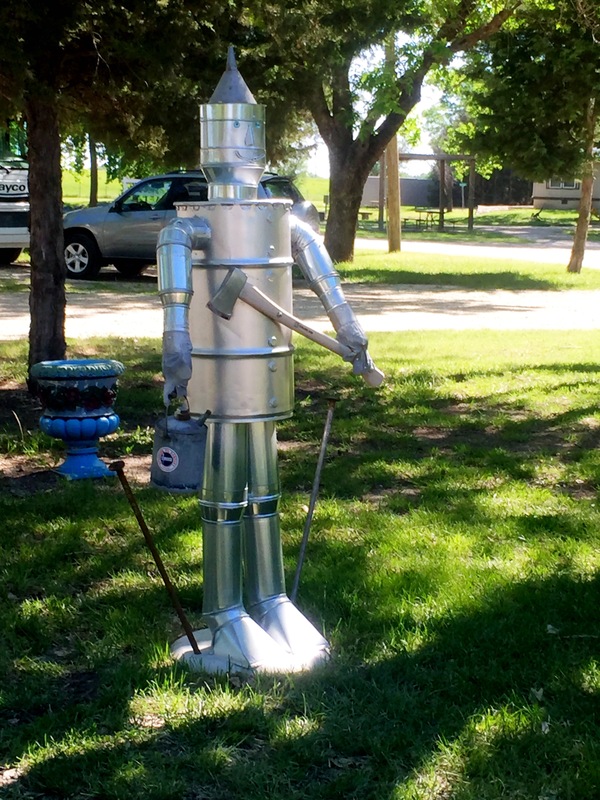 Our campground had several metal sculptures – the Tin Man was my favorite. 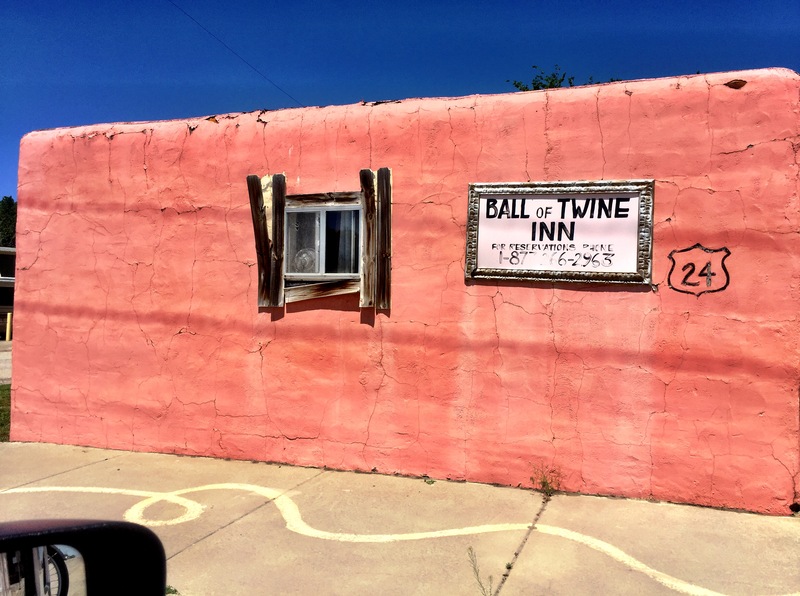 The Twine from the big ball leads across the street to the Inn……right off Rte 24. Next PostNext Kansas – wheat, wheat, wheat – everywhere!